The way I see it: There's no legitimate reason why you would have two companies doing the same thing, with the same owner, and practically the same company name! Unless you were doing something deceptive, immoral, or simply downright illegal. 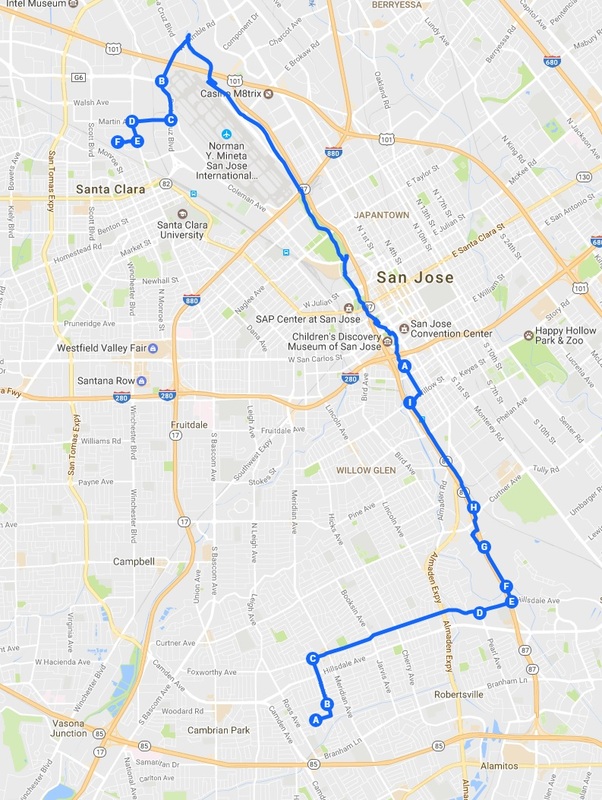 Attempted to get to Golden State Brewery using creek trails. Involved some spots on surface streets, but most of the journey was on trails/cycleways. Had to pass thought quite a few homeless camps on the San Jose side. Loop around the airport could have been a bit quicker - there is an unused stretch of airport blvd that is still open to bikes, but not advertised. Got to the brewery in 90 minutes - couple of stops and detours finding the way through Guadalupe River Park. Unfortunately the brewery was closed when I got there. Arrived at 4:15, and according to Google they should have been open to 5pm! I can only guess they closed early for mothers' day. I'm always fascinated at conferences by the quantity of overhanging bellies. Sure there are plenty of "large" people in day to day life. But there appears to be an extra class of people who attend conferences in unflatteringly tight T-shirts. After spending a couple of days in Seattle, I have to conclude that the state's decision to legalize marijuana was a bad move.